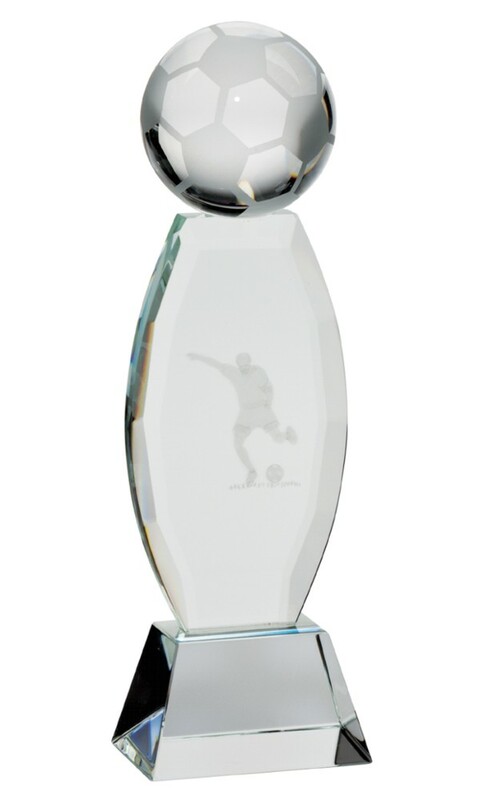 The Infinity Crystal Football Figure trophy is mounted onto a perfectly clear crystal column with a crystal base to create a very stylish award. Available in 2 sizes 190mm and 230mm high. 3D football figure inside the crystal with the ball on the top.